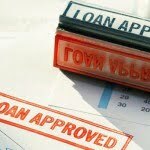 A car loan agreement is basically an agreement to rent a vehicle, while promising to purchase it at a later time. You agree to rent a vehicle until you fully pay off its purchase value, at which point, ownership transfers to you. 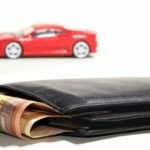 Glitches such as defaults (failure to pay one’s loan repayments), repossession and other problems occur when the vehicle buyer cannot afford the repayments. Keep in mind that the guarantor will also be liable to shoulder these repayments in the event of failure on the borrower’s part. Find someone to purchase your vehicle. Your credit score or financial reputation will be stained if you have a car repossessed while under your name. This could pose as a burden whenever you request for a loan in the future. Talk to the bank. Banks understand that people go through difficult financial times so they are sometimes willing to adjust your monthly payments for a while until you can go back paying normally again. While banks and lending firms are allowed to trespass your home for issues related to repossession, you are also protected from highly oppressive treatment. 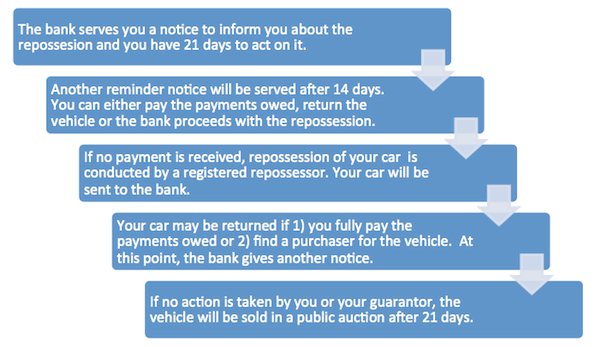 Talk to your bank for a more discreet approach to repossession.